Good morning beautiful people. 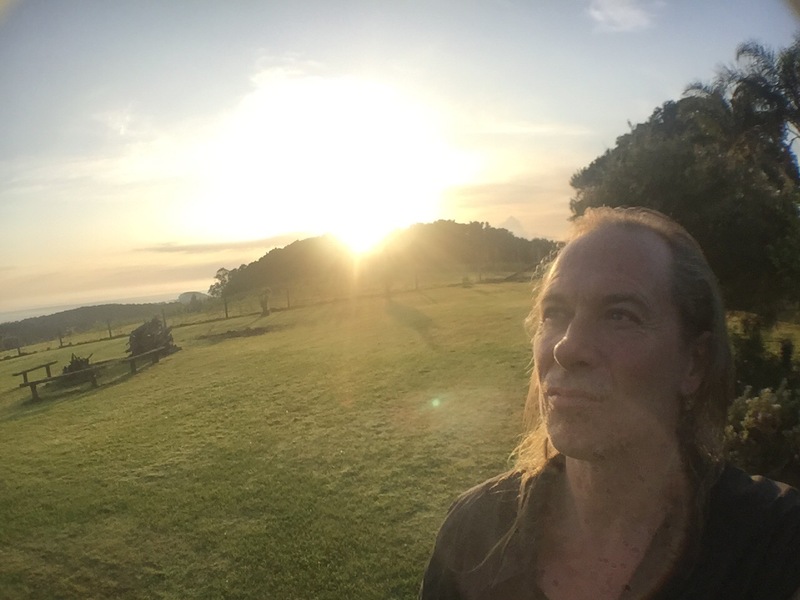 I’m back in Crescent Head for a couple of days to continue working on a film I am helping with and to rehearse with my good friend Rory Ellis before the Bathurst Music Festival this weekend. This morning I am musing over a thought that came to me last night. What if when we die everything is exactly like it is now but with everything wrong put right. A complete parallel universe where all the greedy people become selfless , the planet is amazing with no mining , there are millions of species of plants and animals all living in harmony. No more poverty and inequality , no war , no money , it’s all about ecology , no racism , no bigotry, no hatred, no police, no corporations, complete freedom , unconditional love and goodwill to all humanity. And What If ….there is no time and yes even greed hatred and evil comes from God as well and wretched souls just bounce around in evil and suffering for as long as they want until they work their way back to the light. So everything returns to Creator ultimately. And what if The Creator within each of us is imperishable and that thing looking out through our eyes is never destroyed or extinguished. And what if ……. We had no inner war or struggles and we could get it right with our relationships and be with that perfect partner with no fear, jealousy, attachment, expectation, abuse or any other such things. I know , it sounds like the John Lennon song , but why not ? If we have the power to think it then it’s possible isn’t it. Today I would like you all to join me in the beautiful thought and to picture the world the way we would all like it to be. Then hold onto that thought with me and it will become a reality. Everything we do will have this intention.